Full access to extensive facilities - 20m swimming pool, sauna, steam room, Jacuzzi, aerobic centre, cardio area, system and weights zone and more. 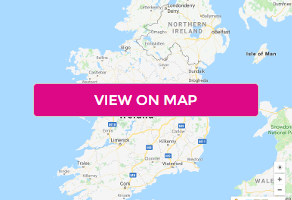 Conveniently located just 5 minutes from Athlone Town Centre and just 60 minutes from Dublin and Galway, just off the M6. The superior double rooms are beautifully decorated with modern, warm tones. All bedrooms have either a fabulous walk-in shower or the option of a bath with shower overhead. Additional extras include a work desk, tv, iron and ironing board, free WIFI. Just looking for a place to sit and relax? Perhaps enjoy a cocktail or two? Or even just to listen to some good music while having a drink with friends? The Cedar Bar provides an intimate, personal and a great place to chill. The bar serves excellent food with daily specials always a favourite. The extensive cocktail list ensures that a great night can be enjoyed by all. At The Zen Beauty Athlone Spa, pure relaxation and enjoyment are the order of the day. The superbly fitted treatment rooms at The Zen Beauty are perfect for those in a languid mood, or tired souls in need of some refreshing rejuvenation.